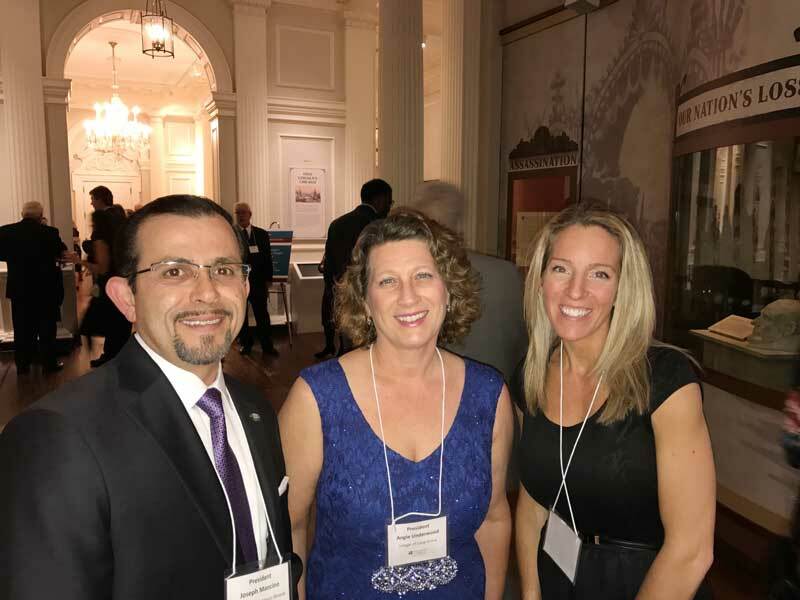 Celebrating at the Metropolitan Mayors Caucus Gala on January 27, 2017 with Joe Mancino, Mayor of Hawthorn Woods (on the left), and Mandi Florip, Executive Director of the Lake County Municipal League (on the right). Serving as Village President has presented me with many opportunities, one of the best of which has been the chance to work alongside and get to know my counterparts in Lake County. I consider it a real privilege to have collaborated with and learned from some truly dedicated public servants, several of which I now consider friends. Cultivating and maintaining relationships of trust and mutual respect between our neighboring communities is a key role that I have made one of my priorities these last four years. It takes an investment of time, but one that can reap benefits for the Village both now, and into the future. Long Grove is a member of several inter-governmental groups, most notably the Illinois Municipal League, Metropolitan Mayors Caucus, and Lake County Municipal League. I also have opportunities each month to represent Long Grove and interact with my fellow Mayors at County-wide meetings, events, summits, task forces, and open houses. We even have an informal “mayors lunch bunch” that convenes from time to time when the need for mutual support arises. As we enter into the last month of election season leading up to the April 4th voting day, I want to send my best wishes to all my mayoral colleagues running again for another term. I am grateful for the experience of having served alongside some of the best citizens I will ever come to know.